Can Mosquitoes Bite Through Jeans, Leggings Or Yoga Pants? Knowing how to stop mosquito bites from itching will save you a whole lot of trouble. No scratching, no skin problems and no bumps on your skin during the summer time! This article will help you with getting rid of mosquito bite itchiness. Let’s check out some of the more effective ways to remove redness and mosquito bumps from your skin. And the part is that you can do it naturally, homemade and with common household items. If you browse for info around the topic of natural mosquito bite remedies, I guarantee you’ll be overwhelmed by the number of results you come up with! That’s why I decided to make my own search of the best itch-relieving, natural ways to help every mosquito-bite victim. If you have already read some of my articles, you’ll have come across a few already. This one is the ultimate resource for natural insect bite relief. There are electronic devices available, but many of us want a simple, to-hand method. Which is where this article comes in. Most of us don’t want to add to the hundreds of chemicals in our homes and yards. Why should mosquito bite relief be any different? What’s also worrying is how mosquitoes are getting used to strong chemicals like DDT or DEET. And how they are getting more and more used to living indoors? Or appreciating the extra warmth of global warming and living through the winter? That means it’s better to find non-chemical ways to repel them and to treat their bites. When we’re bitten by a mosquito, the bite is followed by an itchy bump. This doesn’t happen fast, but sometimes takes a few hours. Why? Chemicals called histamines need time to set off a reaction to a mosquito bite. To stop mosquito bites from itching, we have to stop the histamine reaction, fast. Female mosquito saliva partially numbs the skin. This means we don’t often feel it when they bite. Our bodies do, though. 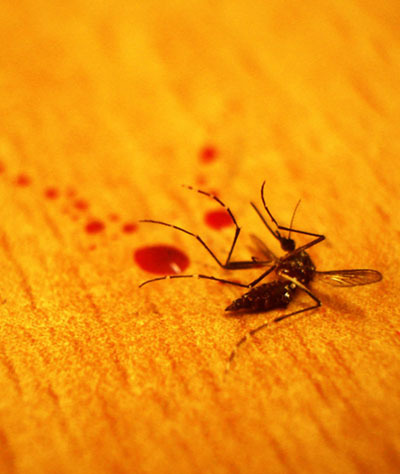 Mosquito saliva also contains proteins that stop our blood from clotting as quickly. Chemical receptors around the bite site realize something foreign has been released into our tissue and blood. Histamine granules are found in practically all of our tissues. When the tissue close to a bite is attacked by a hungry mosquito, histamine is released. It causes lots of effects, but the most important one is dilating the blood vessels close to the area of the bite. When they are dilated, they let more liquid (and protective white blood cells) out. This leak causes mosquito bite swelling. So the basic step when we are first bitten is to try to stop the blood vessels from becoming too wide. Ice: We should always apply ice or very cold running water to a mosquito bite. The cold makes our blood vessels contract. This means they won’t leak as much, and there will be less swelling. Rubbing alcohol: It’s not the antibacterial properties of rubbing alcohol that help, although this won’t do any harm. Rubbing alcohol quickly evaporates, cooling the skin.So this is another way to stop the blood vessels from leaking if there’s no cold water at hand. Don’t scratch or rub: Scratching or rubbing the skin creates friction. Friction creates warmth. And warmth will make the blood vessels dilate even more. But when you scratch, you are also causing tiny wounds you can’t see in the skin. Wounds cause the release of even more histamine. That’s why scratching an itch only relieves it temporarily. Later on, you’ll itch even more! Mosquito bites itch because the body recognizes mosquito saliva and puncture wounds as foreign. It reacts to a mosquito bite by releasing histamine, found in the majority of cells. Histamine is a type of pruritogen found in the nerve endings in the skin. A pruritogen is a chemical which causes itching. It’s not actually the mosquito bite that causes the itch, but our own body’s reaction to getting bitten. The cause of an itch has more to do with the brain than anything else. The brain is alerted to histamine release and translates this signal into an itchy sensation. 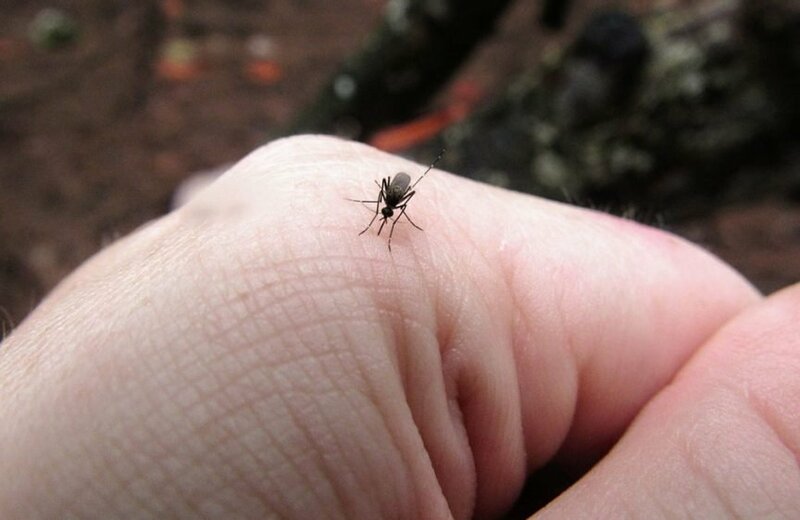 The reason it’s so difficult to stop ourselves from scratching a mosquito bite is because our brains are sending signals to our fingers telling them to do just that! Histamine (in many different forms) has multiple functions in the human (or animal) body. It dilates the blood vessels: This means, as we’ve looked at before, white blood cells can get out of the blood circulation and make their way to the possible foreign body. In this case the foreign body is mosquito saliva and the wound caused by the female mosquito’s proboscis. It lets liquid escape out of the blood vessels: That’s why we get swelling, and runny eyes and noses when our skin is broken, or when something like pollen is recognized as an enemy. It sends messages to the brain: Histamine makes the spinal cord send a ‘hey, I’m feeling something’ message to the brain. It’s our brain that tells us to feel the itch when we get bitten by a female mosquito. It’s also our brain that tells us to scratch that itch. It helps us to sleep: this might not have much to do with mosquitoes, but it does explain why anti-histamine drugs make us feel sleepy. It makes our stomach acid more or less acidic: Again, not much to do with mosquitoes, but this is why anti-histamines make us feel nauseous. That’s another reason why natural bite remedies are better than drugs. It can cause anaphylactic shock: Have a look at the section at the end of this article that tells you what signs to look out for. We now know that drugs like anti-histamines can cause nasty side effects like nausea and drowsiness. That’s why the boxes tell us not to take them while driving. So after you’ve taken the first, basic step (cold) to relieving the itch of a mosquito bite, what do you do next? By the way, if you want to know how to avoid getting bitten altogether, have a look at the other blogs on my site. Like this one. But this article is where you should be when it’s too late to protect yourself from being bitten in the first place. And the natural home remedy list below isn’t written in order of effectiveness. All of these remedies will help to relieve the itch of mosquito and other insect bites. A lot of them can be found in your cupboard. Some will be easier to find when you’re traveling. But wherever you are, there’s always something you can use to make the itch go away. Aloe vera is a plant which grows in drier regions. Used for centuries for all kinds of treatment, it became popular when it was found useful in treating skin burns caused by old X-ray machines. Its leaves are full of a thick, gooey gel. If you have a latex allergy, don’t use aloe vera! The main ingredients in aloe vera that help against itch are bradykinase, auxins, and gibberellins. These reduce the inflammatory (histamine) reaction. Just cut off a section of leaf (you’ll need a sharp knife!) and apply the gel to the bite. This is an old, Native American treatment for insect bites. Simply rub a berry onto the bite. Obviously, you need to be in the right place at the right time. But many people swear by juniper berry essential oil(don’t use it neat). Add a few drops of the essential oil into a light carrier oil and store your natural juniper berry itch remedy in a dark-colored bottle. In fact, the oil also seems to repel mosquitoes. Double the effect! Wet mud or clay is generally cold, so the action of this remedy is to close up the blood vessels. Of course, covering yourself in mud will also make it harder for mosquitoes to bite in the first place! Just think of pigs or hippos rolling in a muddy puddle. They instinctively know it will stop those irritating insects from biting. There might be another helpful action when applying mud to a mosquito bite, but this hasn’t been scientifically proven yet. As it dries, the mud also soaks up any liquid around it. So the swelling of your bite might go down, too. Whatever the process, slapping a bit of cold, wet mud onto your bite will soothe the itch. And you’ll find mud practically anywhere, too. All of these contain the basic ingredient of menthol, which has a pretty amazing effect where our brains are concerned. We have nerves that respond to heat, and nerves that respond to cold. Menthol stimulates the cold-receptive nerves, even if there isn’t any lower temperature to accompany it. This means the body experiences these ingredients as being cold, and the blood vessels stop leaking. Once again, menthol is often used in natural mosquito repellents. Farmer’s wives used to hang bundles of dried mint, lavender and rosemary near the doors and windows to keep insects away. Oats, or even better oatmeal, contains anti-inflammatory chemicals called avenanthramides. Even in tiny amounts, avenanthramides can counteract inflammation and stop the release of pruritogens. Pruritogens, including hisstamine, are chemicals that make us feel an itching sensation. This means we don’t feel like scratching a mosquito bite so much, either. While a dab of oatmeal on your bite will definitely remove the itch and help lower the swelling, you might attract a few ants! Witch hazel has an anti-inflammatory effect. However, as an itch remedy it doesn’t last very long. This is because the anti-inflammatory ingredients are often diluted in a lot of water on over-the-counter products. If you happen to have a witch hazel (or hamamelis) tree growing nearby, you can rub the winter flowers onto your bite. Alternatively, cut off a short section of new growth, peel away the hard bark (you don’t want to damage your skin), and very gently rub the soft wood onto the itchy bump. Lots of the proteins contained in female mosquito saliva are acidic. The theory behind using sodium bicarbonate to soothe an itch is therefore to neutralize the acids by using a strong alkali. Baking soda should be applied early on as a paste made with a little water. Bicarbonate is also lightly anti-inflammatory, but not the best choice for an older bite. Panax ginseng has been used for centuries in Asian countries for countless medical problems. Relieving insect bites is just one of them. This plant root reduces the amount of histamine that is released and so slows and even stops the inflammatory reaction. Using an over-the-counter ginseng oil on the bite itself is therefore a great way of relieving both the itch and the swelling. Cold, together with a soothing, calming herb will definitely relieve an itchy mosquito bite. Not only are you discouraging the capillaries from widening and releasing fluid, histamine and cells, you are also making use of anti-inflammatory herbs. Try chamomile tea, green tea, peppermint tea and even boring old black tea (which contains itch-relieving tannins) bags to soothe your bites. Just make sure it’s cold, first! Quite an old study found a significant reduction in itching, burning and pain when a diluted solution of ammonia was applied to the bite. As lots of people use ammonia as a de-greasing agent in the kitchen or home, this might be an easy solution. Never apply ammonia neat, but dilute it with at least 90% water. It stinks, by the way. But it does seem to stop the itch for up to a few hours. Fresh pineapple contains bromelain. Bromelain is an enzyme that breaks down proteins. It’s also responsible for a stinging sensation in the mouth as it digests the proteins in your saliva. Bromelain is broken down by stomach acid, which is why pineapple doesn’t continue digesting us. But on the skin its effects are longer-lasting. In fact, pineapple digests proteins so well that this fruit has been used as a medicine for centuries in South America where it was first grown. The principle is that rubbing fresh pineapple or pineapple juice onto a mosquito bite will break down the protein in mosquito saliva. Histamine is also a protein molecule, and so pineapple can work as an antihistamine. Simply rub a piece of fresh fruit onto the bite, or dab on some juice. Coconut oil now seems to be more repellent to mosquitoes than DEET, but how does it work when applied to a mosquito bite? It’s not the scent of the oil that keeps mosquitoes away, but the fatty, not very tasty layer the mosquito has to bite through. If you want to both keep mosquitoes away and soothe the bites of the ones that never gave up, only virgin coconut oil seems to do the trick. This is an anti-inflammatory, an analgesic (pain killer), and an antipyretic (stops the burning sensation). It’s strange how so many mosquito bite relief agents are also insect repellents. Geraniums are one of these agents. The keep insects at bay, and rubbing a leaf on a bite will make it less itchy. This is because geraniums have high levels of geraniol. Geraniol is also found in lemongrass, lemon oil and citronella. It is a chemical which inhibits a wide range of proinflammatory proteins. Either source an essential oil and dilute a few drops in a carrier oil, or pluck a leaf from the garden and rub it onto the bite. If you want to smell good, and not itch from your mosquito bite, try a plant or spice that contains a lot of linalool. You will definitely have one of more in your home. Try cinnamon, citrus fruits, birch tree bark, cilantro, lavender, or even cannabis. Linalool is an anti-inflammatory that will make the swelling go down much more quickly. But be careful, some people are allergic to linalool compounds. Do a spot test, first to make sure you’re not one of them. Either use the essential oils, or the plant or spice forms. What?! How’s that a natural remedy? Well, it is. We’ve already talked about how the brain gets a message from the histamine to say there’s something going on with our skin. And how the brain translates this signal as an itch. Well, the brain’s next step is to tell the fingers to scratch it. In other words, scratching is an involuntary reaction to a mosquito bite. When we interrupt the brain and don’t scratch, and instead concentrate on something completely different, the itching sensation often stops of its own accord. When you’re busy trying to remember that punch line, you might even forget you’ve been bitten. Only about 60% of you will get relief using cayenne pepper. The other 30% will feel an unpleasant, burning sensation. So best try it first to find out! The principle is simple. Have you ever eaten a very hot pepper? Some of them are so hot you can’t feel your tongue for hours afterwards. That’s because the capsaicin in hot pepper desensitizes the nerve endings. If your skin is numb, you’re not going to feel the itch. So while the extra heat might make the swelling and redness worse, it doesn’t really matter because you’ll hardly feel it. Don’t just dab the vinegar onto your arm or leg or neck or knuckle (ouch) or ankle or toes or shoulder or back or wherever else that skeeter got you. Dilute your cider vinegar first or you might burn your skin and cause another reaction. Cider vinegar is one of the best-known natural remedies and has been used as a medicine for thousands of years. Where mosquito bites are concerned, the acetic acid (found in all types of vinegar, and not just cider vinegar) can block the inflammatory response. This effect doesn’t last too long but you can reapply it. Also, the chances of your having some form of vinegar in your kitchen are high. I know what you’re thinking. We need to use cold in order to stop the blood vessels from leaking out fluid, histamines and white blood cells that start the inflammatory (and itching) process. Well, that’s right. You don’t want to put a hot spoon on an old mosquito bite. But a fresh one? That’s another matter. One of the reasons histamine is released is because the body reacts to proteins found in female mosquito saliva. If we’re quick, placing a hot spoon (not so hot that you’ll burn yourself, but as hot as you can bear it) on the bite site will turn that protein into a useless clump. Proteins don’t need much heat to start coagulating – just think of an egg white. And if the proteins in the saliva are no longer active, there’s no reason to see them as a foreign attack. Your body will then not react as much. This is the principle of heat pens for insect bites. Used within a few seconds of a bite, heat will help. OK, you might not have a lump of sophora root just hanging around in the kitchen or garage, but your Chinese herbalist will. This is one of the most well-known medicinal herbs in Chinese medicine. Just ask for ‘kushen’. Kushen is used to relieve swelling, pain and excess heat. Which just happen to be the symptoms of a mosquito bite. The main component of sophora root that has this effect is oxymatrine. You can get kushen topical lotion from specialist stores. And it’s definitely not a new craze. Kushen was one of the world’s first popular anti-inflammatory medicines, at least in the Far East. Whether you have a sweet basil bush in the garden, a fresh herb section in your local grocery store, or order Holy Basil (that’s the herb, not the Saint) from a specialist online, you will find basil somewhere. Basil contains a huge number of chemical compounds, but it is not very well known as a medicinal herb. For mosquito bites, basil compounds inhibit prostaglandin and histamine receptors. This means basil can remove the warmth and the swelling of your bite, and make sure less ‘scratch me’ signals are sent to the brain. Before you garnish the spaghetti, take a leaf or two for yourself! Rubbing a banana peel on a bite might seem nonsense, but it’s not. Banana peels contains polyphenols. Lots of them. And these polyphenols tend to block the action of histamine, meaning less swelling and less signaling to the brain. Which, as we should know by now, means less itching. The skin of a banana is also very soft, so it won’t cause trauma to the skin. While you might attract more mosquitoes with your banana perfume (see this blog), at least the bites won’t hurt as much. Redness: The entire area around a bite can become bright red. Well, by now you should have looked in the kitchen cupboard and found at least one or two remedies which will stop those mosquito bites from itching. Of course, you also know that the first move should be to use a pack of frozen peas or cold running water. For many of us, applying something cold will do the trick. But in the end, prevention is always much better than cure. While it’s great to be able to write you a long list of how we can stop that itch, it’s even better to be able to show you how to stop getting bitten in the first place. Visit this page to find some really effective, tried and tested ways of getting rid of mosquitoes in your home or yard. You’ll also find quite a few bite relief remedies there. And don’t forget to browse through the many different articles on my website. I know you’ll find something interesting on every page!